According to a Pricewaterhouse Coopers Technology Barometer Survey, small businesses that licensed out intellectual property received an average income stream equal to 26.2% of their total revenues. This revenue goes right to the bottom line, increasing your profit margins and the value “multiplier” for your business. Licensing royalty revenues create higher value because the “production costs” are much lower (effectively zero) than to produce your product. And, depending upon the circumstances, you can sometimes use the licensee’s resources and efforts to increase the value of your business — your credibility and goodwill — far beyond the royalty income generated. Virgin created their brand strategy to sell their products (e.g. Virgin Airlines). Once created, they used licensing to commercialize their IP, expanding into product and service categories that didn’t cost them anything. Virgin’s brand licensing profit goes right to their bottom line. I saw this first hand while working on the Power Rangers property. The royalty revenue generated from that IP catapulted the value of the company, setting the stage for a multi-billion dollar acquisition by a major studio. 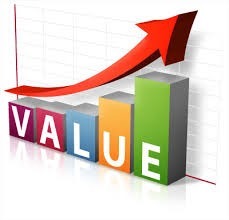 IP increases the equity value of your business because IP is a value multiplier. The revenue stream from licensing IP has a higher multiplier than selling a single product or service. The gross margins on IP are much higher because its production costs (licensing) are much lower than the costs to produce and deliver a single product or service. Traditional valuation multiples are calculated based on "revenue in" minus "costs" to provide "profit", times a "multiple". You can increase your profit margins by licensing out (i.e. commercializing) your IP, and you’ll increase your business value "multiple". Today’s market investors are looking more and more at companies with intellectual property. IP Rights have become the most important form of competitive power that any company can own. They are the foundation for a product’s market dominance and continuing profitability. IP rights are revenue generating assets and are the key objective in buying or selling a business.